Kieran Kingston will take himself to the new Páirc Ui Chaoimh on Sunday to watch Cork take on Clare in the revamped Munster SHC. There's a part of him that will still feel like he's a manager, wondering which switches could tilt things in their favour. He has found that separating himself from the action has been easier said than done. "I went to all the games in the league except the Wexford one," Kingston said. "And I'll be honest I found it quite difficult. You are looking at it from a new perspective and it's not easy to divorce yourself from it and look at it as a supporter and not as a manager. "You're always thinking, 'we should do this' and 'we should do that'. But my wife just shuts me up and tells me to watch the game," he laughs. Over the past few years, Kingston has been more inside the circle than out. A selector under Jimmy Barry Murphy, he then served as coach before taking over as manager for two years. After delivering a Munster title last season, he stepped away citing work commitments. Being self-employed, with a property management company, there just weren't enough hours in the day to do both. And he reckons there'll soon be a debate on whether managers should be made full-time. "(Management) is hugely demanding and hugely rewarding when you are winning. Very challenging and very enjoyable. But every night you go to training you have 50 people between players and back-room that you are responsible for and you are managing those people. "Everyone wants to have their say and input, there are only 15 who can play and 11 on the bench and another 10 who are sitting in the stand and giving it their all as well. "So making sure everyone is on the same hymn sheet and working together is not simple and it demands your full-time attention. "In my view, inter-county management, and if you are going to be successful, is bordering on a full-time role. That's why not everyone can do it." As Kingston explains, there's much more to it than people see. He was in charge of Cork in 2016 when they lost to Wexford in the championship for the first time since 1956. That defeat brought to a close a bitterly disappointing summer for Cork but afterwards Kingston insisted Cork hurling was primed to succeed. At that stage, moves had already been made. The youngsters who took Munster by storm last summer had already been working in the background as part of a development panel. 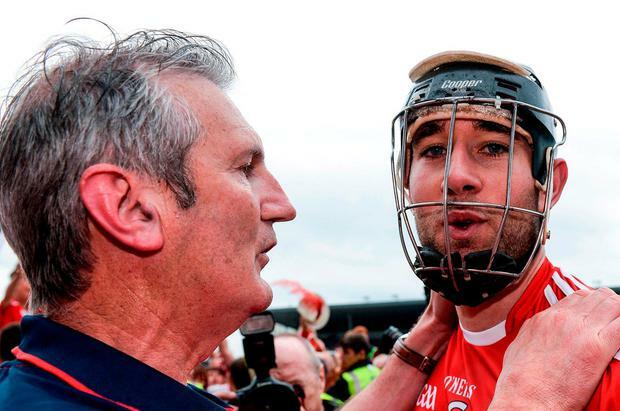 So when the likes of his son Shane, Mark Coleman and Darragh Fitzgibbon made the country sit up and take notice 12 months ago, he was far from surprised. "A lot of people say that (it came together for them in 2017) but we started a process at the end of 2015 whereby we had a development programme with young lads and had identified 14 players we felt could give us something at the end of 2016 if we got far enough and into 2017. "They were young lads we worked with and came together. So the lads that played last year, particularly the young guys like Shane, Mark Coleman, Darragh Fitzgibbon and Luke Meade they were with us for 18 months prior to that and we were working away in the background. We felt we needed to change things and we felt we needed to look at a youth policy. "We felt those days we would have good days and bad days but we'd give them a chance to prepare them as much as we could so when it came to it they had as much exposure to the whole environment, the training, nutrition, conditioning etc that we could give them." That's why he believes the future is bright. "I think they are in a very good place. Looking at the Munster championship the way it has worked out I think Cork have the best draw of all, no question about it. "Now I mightn't be saying that to you if I was involved! But if you look at the draw Cork have two home games - Limerick and Clare. If those were in Ennis or the Gaelic Grounds they would be very difficult places to go to." Kingston stepped away last year but is now involved with the newly-formed 'Cairde Corcaigh', a fundraising vehicle aimed at generating finances to assist all Cork county sides. The group will officially launch in Páirc Uí Chaoimh tonight at 5.0, with an open invitation to all former Cork players from every code. "Some counties are taking it to a new level with the appointment of commercial managers. And I felt that Cork needed more support. 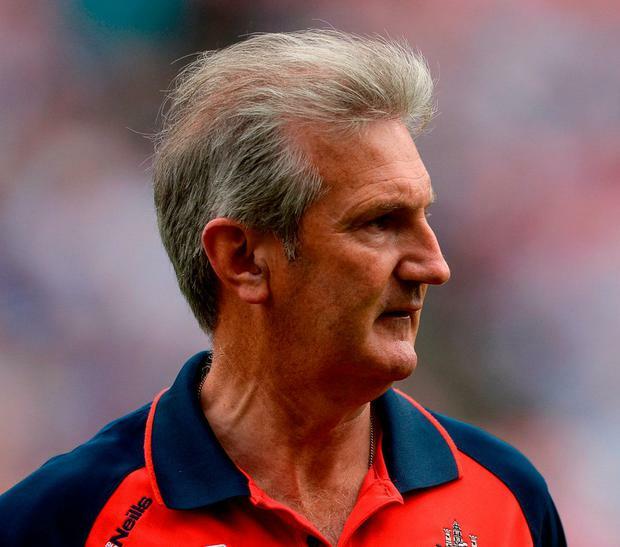 "It's not that we wanted another county board created or that they weren't doing everything they could for their teams - everything we asked for we got. "But if you look at other counties there are those that are able to do that little bit extra. So we felt it was something we needed in Cork."